Feel free to call our company for a professional hedge trimming service any time. We are an esteemed gardening services provider and we are offering you our impeccable and unequalled hedge trimming service for a very reasonable price. 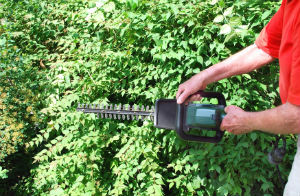 We guarantee you our hedge trimming service is second to none here in Wandsworth SW18. Pick up the phone and give us a call now, hire our skilled gardeners to deal with this chore for you. 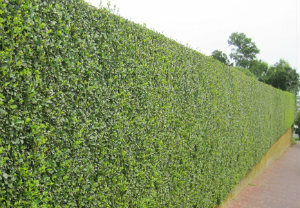 We will give you perfect and neat looking hedges. At our company we understand that most people decide to have hedges for more privacy, but some just want them to complete the look of their outdoor landscape. To us, however, it does not matter why you have chosen to have hedges, all we care about is their trimming and maintenance. We have gardeners working for our company that are perfectionists and cannot stand to see ill-kept hedges. So if you have hedges that have grown untidy and bushy, call our company right away and book our amazing professional gardeners to take care of them. Our company guarantees you the most perfect and convenient hedge trimming service in SW18, and we have what it takes to prove it. Our company is a leading gardening services provider and we guarantee you you will be more than satisfied with our gardeners’ work. They have all of the necessary trimming tools to give you a nice, clean, adequate and efficient service. They will evenly trim your hedges, making their shapes neat and proper. Call our phone assistants for an appointment right away, and we will send you a team of our professional gardeners to trim and fix your hedges.